The one on the left is actually a short skirt in layers of organza and duchess satin worn over short printed dress in duchess satin. 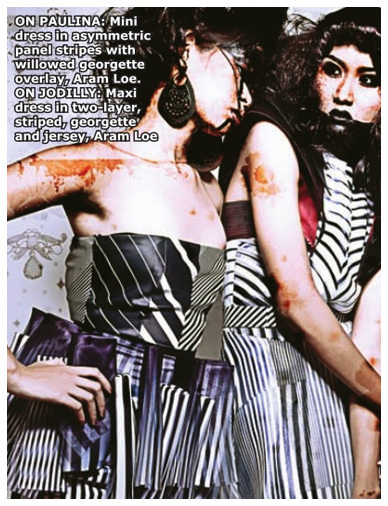 The one on the right is print-on-print organza and satin dress. I made them for the kind of girl who will walk into the club (or event) and the men will say "Wow, that girl is hot AND awesome, I WANT HER." This dress is made of layers of black and white jersey with the back in print-on-print organza over jersey. I love it. I've worn it and it feels like heaven. Can you believe the work that was poured in this dress? Anj Calvo is insane. Don't get me started with his doll collection. 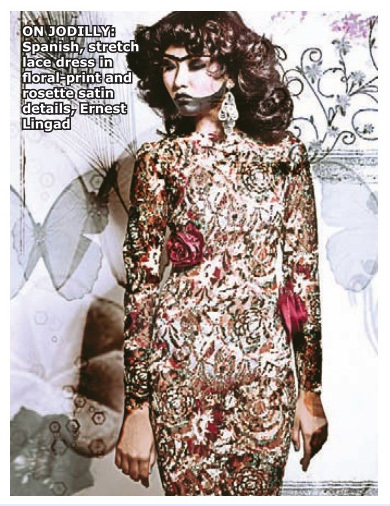 A dress for the hot "Kontrabida" by Ernest Lingad. Honey's intense patterns formed through her one-of-a-kind fabrics. I really can't wait to see this *look* in European cities. Coming soon in The Sartorialist. Is it really FAUX fur? Whatever. 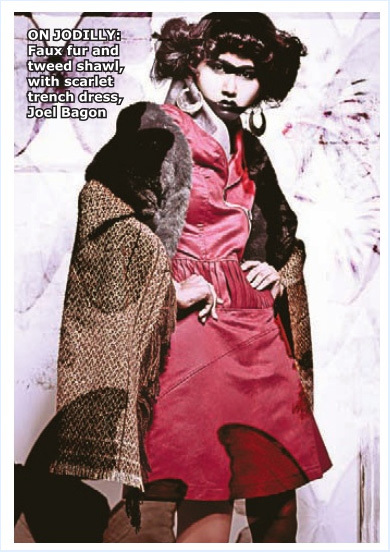 I LOVE Joel Bagon's work and I will wear it to Sweden one day. The ULTIMATE party outfits. 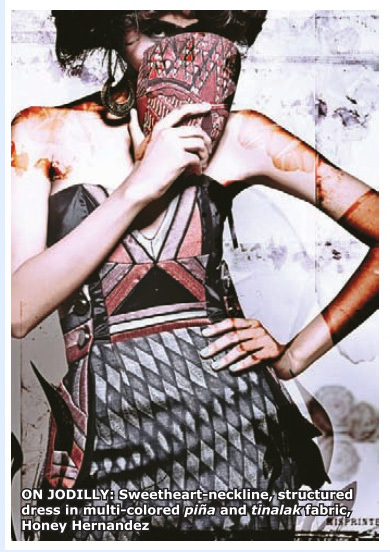 Edgy yet highly wearable by Joel Bagon and Argie Salango. Last but not least, the SHOW-STOPPING red carpet dress by Miss Joie Magsayo. Nothing beats couture details and highly seductive flashes of skin! and of course, Joyce Fernandez of Manila Bulletin.